This ministry umbrellas the Video Ministry and Audio Ministry and captures the various church services for video and audio play back. 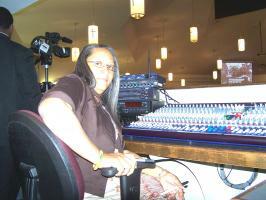 It is responsible for recording, editing and producing the audio and visual needs of the church. The Ministries seek to enhance the worship experience of the congregation by providing quality video and audio services during worship services and other Ministry events. Requests for recording of special events must be made in advance.